In our property there are 12 rooms in total. 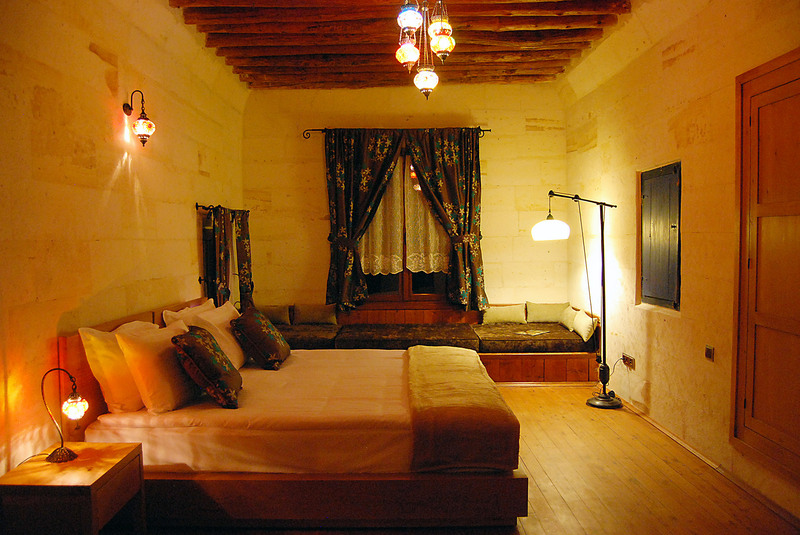 5 Standart+7 deluxe. 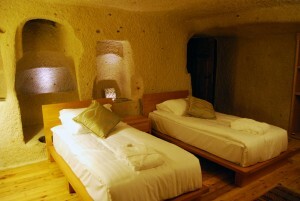 Deluxe rooms are either with wiew and with appropriate size or original cave carved and with larger size. 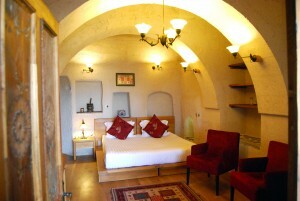 Standart rooms have shover only, deluxe rooms bath tube (jacuzi). 2 of standart rooms are made of Cappadocian Stone, 3 ofthem are cave carved. 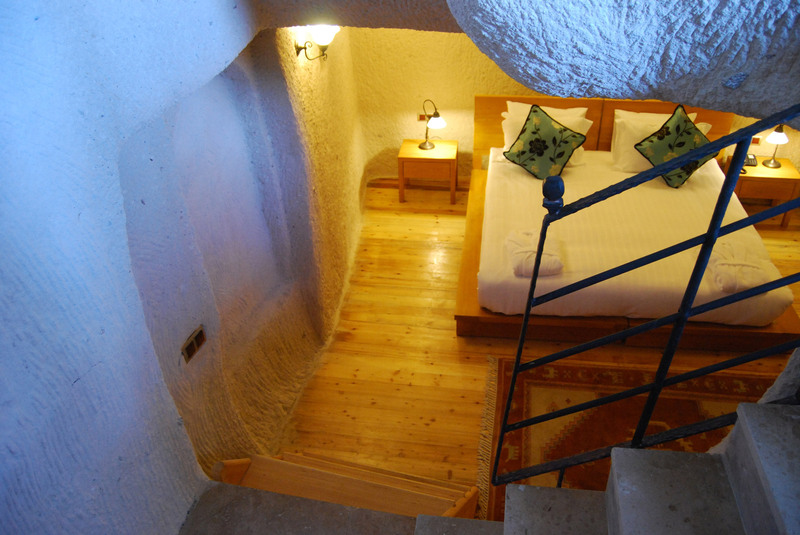 4 of deluxe rooms are made of Cappadocian Stone, 3 ofthem are cave carved. 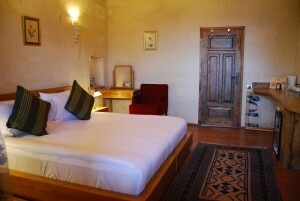 All of our rooms can be prepared with TWN bed or French bed. In both categories, in the rooms we offer tea, coffe an done bottle of water per person/per day complementary. 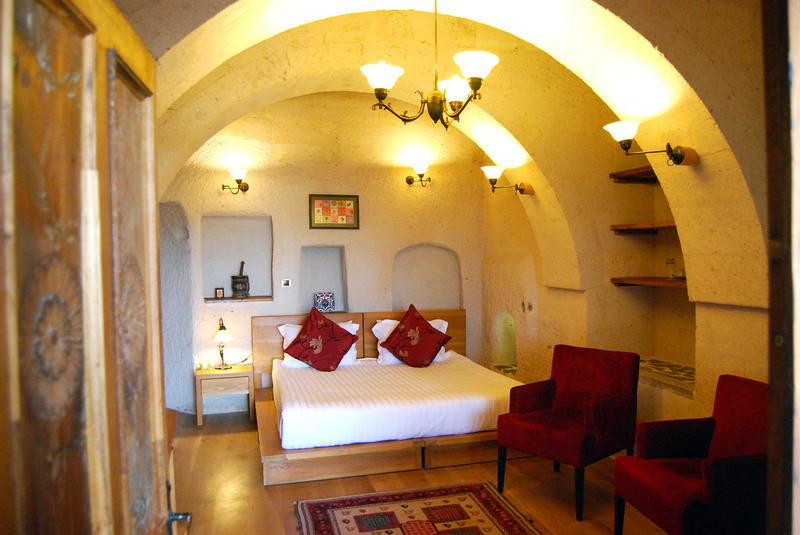 In all rooms there is TV, Telephone, free wi-fi, Mini bar. 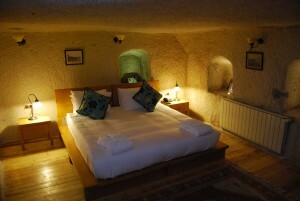 There is aircondition in the rooms except three of them to which was not possible to place one due to thick cave walls. In our restaurant which located at terrace level of our property, we serve ala carte menu as well as fixed menu for groups and / or HB reservations. 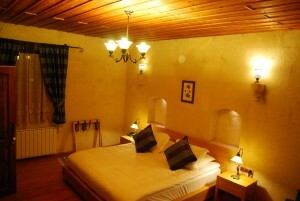 Indoor capacity: 32 / ourdoor capacity: 30 We are proud to be one of the well known restaurant in the area. 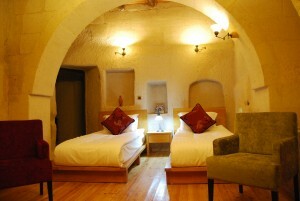 We also serve dinner & lunch in our cave carved cellar upto 25 people.